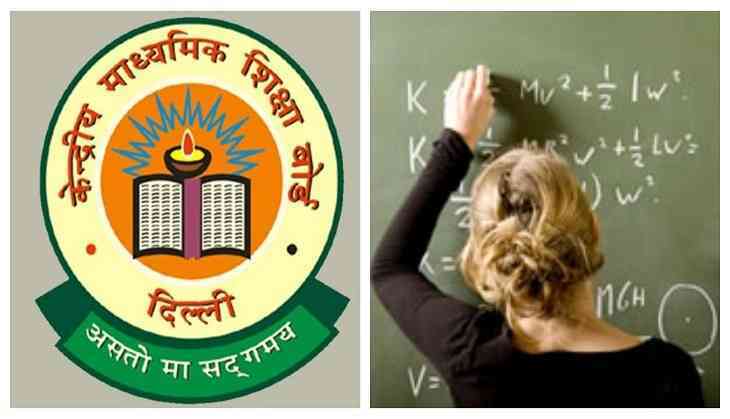 The Central Board of Secondary Education (CBSE) will be going to award to the teachers of CBSE. Yes, now, all Board teachers a good news for you that CBSE has released an official notification which would give you award with exciting cash prize and gifts. According to the official notification, CBSE has invited all the interested and eligible school principals as well as teachers for CBSE awards 2017-18. However, the registration process for the same has been started from 29th June 2018. Therefore, teachers, it is a golden opportunity for you to receive the award from the one of the reputed education board of India. While the last date to submit your application form is 13th July 2018. CBSE has started this awards for the meritorious teachers which means Board teachers who had performed outstandingly in the affiliated school of CBSE. This award was started giving from the year 2000 under the aegis of Ministry of Human Resource Development (MHRD). From then, this reputed award is given every year to the teachers’ on the very special occasion i.e. Teachers’ Day (5th September). This award consists of a merit certificate, a shawl and a cash prize of Rs 50,000. CBSE teacher’s award has been introduced to encourage the teachers across the country. Another good news for you is that the number of awards has been increased from 34 to 48. To apply for the CBSE teacher’s award 2018, you must have at least 10 years of regular teaching experience in CBSE affiliated schools or work as a principal with at least 5 years of experience in the CBSE’s affiliated school. Remember, retired teachers are not eligible for the award but those teachers who have served the term till 30th April or before their pre-retirement and fulfil the other eligibility criteria then they can also apply. Candidates can apply for the award only through online mode no other mode will be acceptable. • Candidates performance will be looking at all the categories of awards like academic qualifications, functional research, scholarly contributions, curriculum, community and student development achievements, awards and honours. 2. Face to face interaction with a teacher will also be a part of the selection. 3. Candidates will have to give the two video graphed lessons of 30 minutes just like the actual classroom teaching with lesson plans. After fulfilling all the criteria set by the Board, a candidate will be awarded the CBSE Teacher’s Award 2018 after giving the thumbs up by the Committee. However, the announcement of awards winner will be uploaded on the CBSE portal. While the top 6 scorer teachers names will be given to the Ministry of HRD, Govt of India for National Teachers Award. Note: For more details, read the official notification of CBSE.